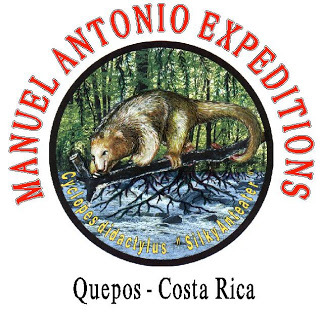 The Manuel Antonio Blog is an up-to-the-minute collection of the area's hottest NEWS, classified ADS, DISCOUNTS & SPECIALS. The moment any important breaking news item is reported by someone filling in the box on the Quepos And Manuel Antonio News And Announcements page (ideally with photos, graphics and/or video), WE report it. The moment a local business decides to offer a great discount or special, or a local organization announces an upcoming event, YOU get to know about it. The moment ANY important new page is uploaded to ManuelAntonioOnline.com YOU get to see it. In short, EVERYBODY WINS when we have an informed community! Are you a current or previous visitor to our area? YOU TOO can be a part of our blog and website. If you have a great story to tell about your visit, we'd love to hear it! Likewise, share your best photos and/or videos! Don't forget to comment on and/or rate any hotels, restaurants, or activities that were part of your visit so future visitors can be informed. Also feel free to vent about any particularly bad experience you had. If you're a local organization in the ManuelAntonioOnline community simply use the box on our News/Happenings page to submit an update or announcement for your current and future members. It will become a part of the Manuel Antonio Blog. If you're a local business, use the box on our Quepos And Manuel Antonio Specials page to announce to the world any new discounts or special offers you're running. Include photos, graphics, and/or a video, if you like, for maximum effect. If you're an individual, business, or organization and not yet part of our online community, WE ALL WOULD LOVE FOR YOU TO JOIN US! To receive an up-to-the-minute instant RSS feed of our updates in your RSS reader, click the orange RSS button at the upper left navigation column. If you have a My Yahoo, My MSN, or Google account, you can receive the RSS feeds there. The guides at Manuel Antonio Expeditions are known for their knowledge of the symbiotic relationship of the unique plants and animals in our National park. Continue reading "Manuel Antonio National Park - Manuel Antonio Expeditions"
Continue reading "Speak 4 languages, Cambridge graduate looking for job"
Continue reading "Looking for a part-time bartender!" Continue reading "For Rent: Jungle Cabina In Mauel Antonio"
Continue reading "Manuel Antonio National Park - Jade Tours"
Continue reading " Private Transport to San Jose Airport "
Continue reading "Bi-lingual looking for a job." The area's only interactive, multimedia Quepos and Manuel Antonio classifieds. Wanting to buy or sell something? Needing to hire someone or find employment? Create your FREE webpage ad, now! Continue reading "Quepos And Manuel Antonio Classifieds"
A STEAL!--$499 for a Brand New IPad 3 64GB Wi-Fi and protective case. Continue reading "A STEAL!--$499 for a Brand New IPad 3 64GB Wi-Fi and protective case. " Continue reading "Iphone unlocking service"
Continue reading " el tucan"
Four bedroom, three bath, two story house for sale in downtown Quepos. 2000 sq. ft. American amenities with secure concrete construction. Zoned commercial. 2009 Yamaha Jet Ski for sale in excellent condition. Many new parts, rebuilt engine with only 6 hours on it. Runs perfectly. Includes trailer. 2 cycle. Continue reading "FAMILY FUN ON THE WATER! 2009 YAMAHA JETSKI WAVERUNNER"
Specializing in electrical work, air conditioners, heavy duty power washing and much more. Fluent in English and Spanish. 12 years in Manuel Antonio. Continue reading "RELIABLE Repair Work Offered!" Continue reading "Intercambio de idioma"
See you soon because you're very special for relaxing massage. Today I come there! Continue reading "I am italian"
(A Full Service Property Management Company)"
Continue reading "Sunday BBQ @ Hotel La Colina"
Continue reading "Academia de Español D'Amore"
Solo una muestra de la bella naturaleza que nos brinda Manuel antonio. Continue reading "Bella Naturaleza "
Continue reading "US professional looking for a small place to rent in the Central Pacific area "
Continue reading "Manuel Antonio Jungle Cabina"
Continue reading "Jungle Cabina for Rent"
Continue reading "Hidden Bay Realty"
Continue reading "Manuel Antonio Surf School (MASS)"
Continue reading "Pete's Place - Manuel Antonio - 3BR/2B - Ocean View/Air/Pool/Secure"
Continue reading "Jungle cabana for rent"
Continue reading "4 Bedroom House with Pool, Avail longterm mid July 2011"
Continue reading "Easy Ride Shuttle Services"
Continue reading "Titi Canopy Tour"
Continue reading "River Rafting - Amigos del Rio"
Continue reading "River Rafting - Iguana Tours"
Continue reading "River Rafting - Quepoa Expeditions"
Continue reading "River Rafting - H2o Adventures"
Continue reading "Quepos And Manuel Antonio Tours and Activities"
Continue reading "Amigos del Rio Adventure Park"
Continue reading "Quepos And Manuel Antonio Weather"
Continue reading "Restaurante and Sports Bar El Sol"
Updated daily, the Manuel Antonio area's one-stop source for comprehensive, interactive, multimedia visitor & resident information. Enjoy blogs of new pages & updates by email or RSS feed. Continue reading "Manuel Antonio, Costa Rica - The Complete Guide"
Continue reading "Manuel Antonio Online - The Vision"
Continue reading "La Posada Casa, Villa & Bungalows"
Continue reading "El Gran Escape"
Continue reading "Two Bedroom Gated House In Manuel Antonio"
Continue reading "Cute 2-1 House In Manuel Antonio"
Continue reading "MIDRANGE - Blue Banyan Inn"
Continue reading "Los Senderos Bar And Restaurant"